Don’t be fooled by the look of this pretty hole as she’s the toughest on the course. The fairway is shaped with a slight dogleg to the left and two bunkers protect either side. 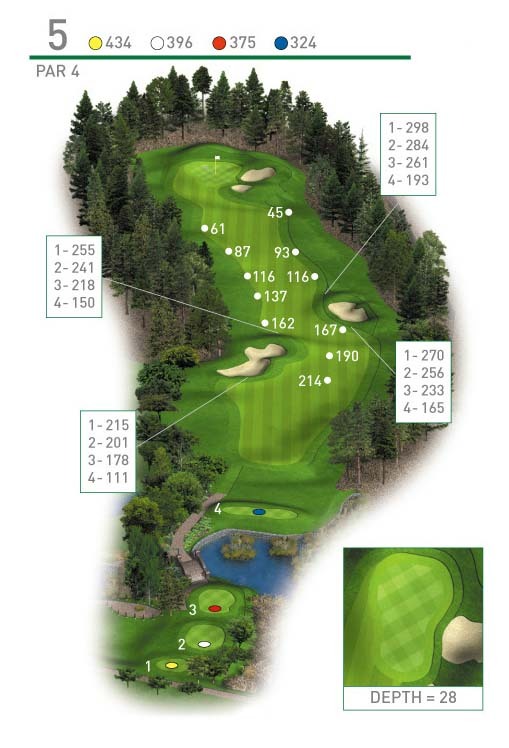 Your approach will leave a long to mid iron to a very well designed green. Bunkers protect the right whilst any ball missing on the left will feed away into the valley. Aim for the heart of the green, make par and run.